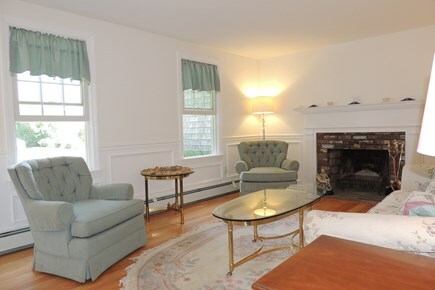 Enjoy Harwich Port from this Classic Cape Style home! 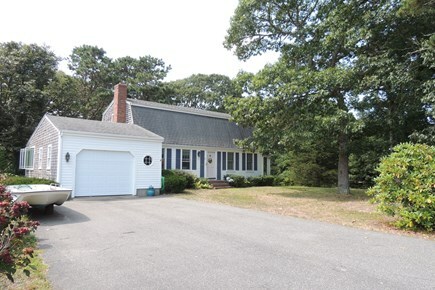 Perfect for the entire family, this home is light & bright with lots of recent updates and just across Lower County Rd to Allen Harbor and close to Nantucket Sound beaches & downtown Harwich Port. 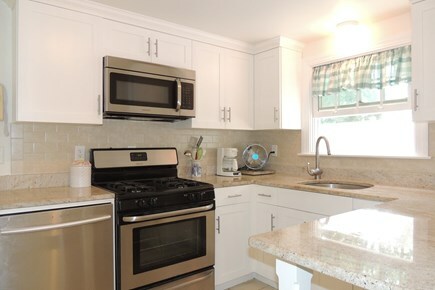 This spacious, four bedroom home features plenty of comfortable living space, gleaming hardwood floors throughout, living room, dining room leading to the large deck area, large family room with flat screen TV, brand new kitchen with granite counter tops & brand new appliances. 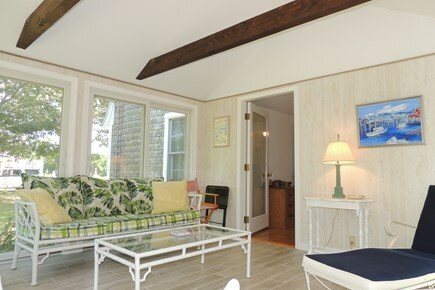 And at the other end of the home, a beautiful sunroom with floor to ceiling windows & slider that also leads to the deck. 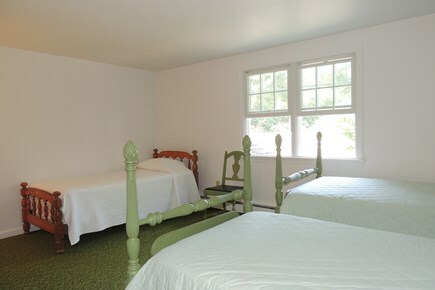 The first floor also includes a spacious master bedroom with queen size bed and second bedroom with one single bed. 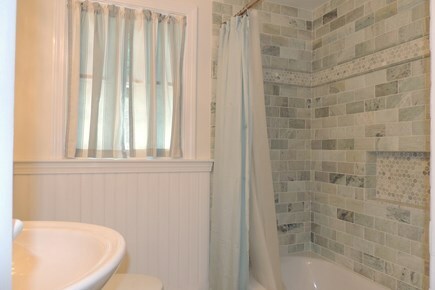 Both share a newly updated full bath with beautiful new tiled tub/shower. 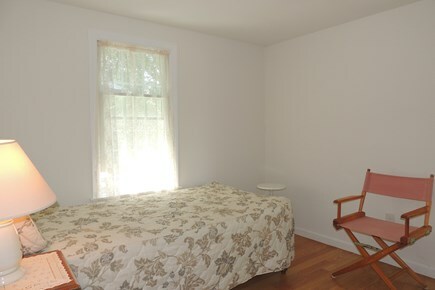 Upstairs are 2 more spacious bedrooms & a shared full bath. Bedroom one has one full & 2 twin beds. 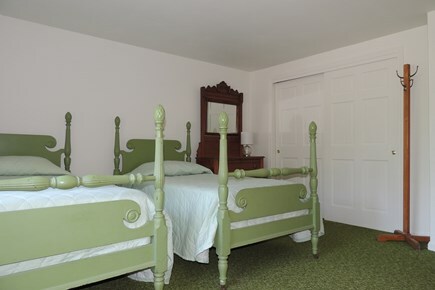 Bedroom two has 3 twin beds. 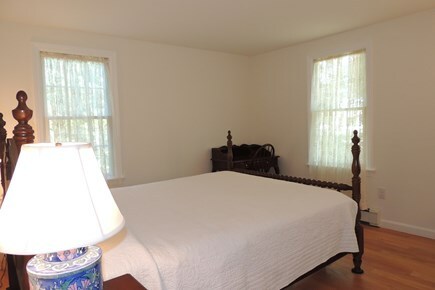 All bedrooms have window a/c units. 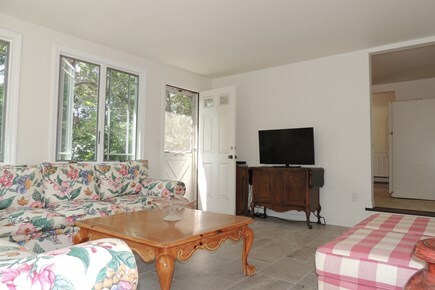 Some other amenities include washer/dryer, gas grille, fully equipped kitchen with gas stove, microwave, dishwasher, auto drip coffee maker, cable & WiFi, flat screen TV, deck, patio. 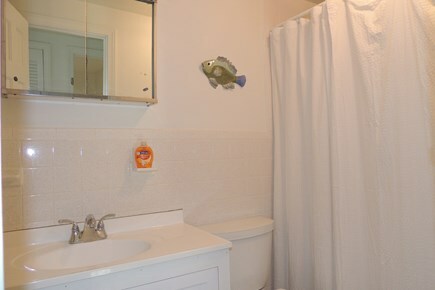 This home is pet free. 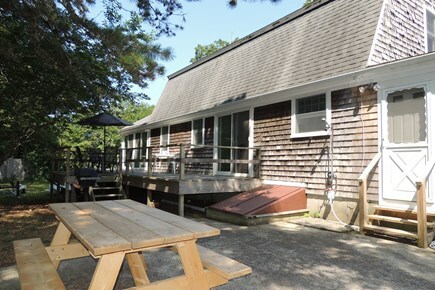 The back yard is private with a large deck & outdoor seating, patio area with gas grille & picnic table. 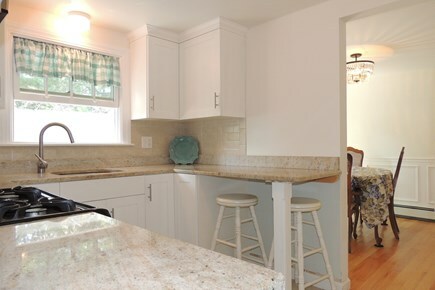 Enjoy views of Allen Harbor from the front yard. Walk across the way to Allen Harbor, drop in a line or sit and watch the boats.